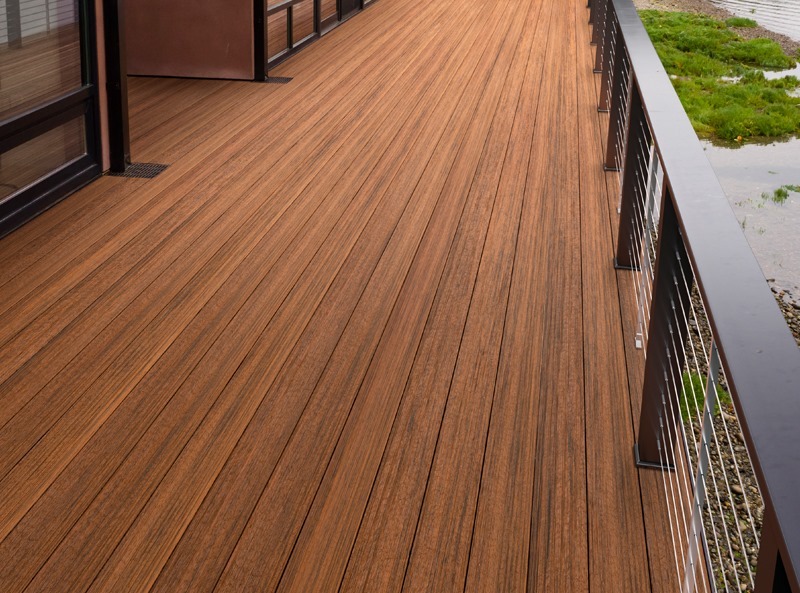 Tropical hardwood is a very appealing choice of decking material, but it’s not without its disadvantages. 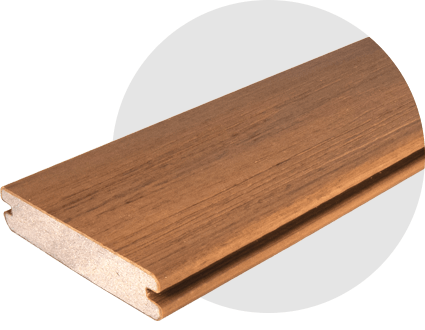 For one thing, hardwood boards require a lot of time-consuming maintenance, but far more troubling is the environmental impact; tropical hardwood decking causes deforestation, and so it’s not a great choice for anyone who’s concerned about protecting Earth’s rainforests. 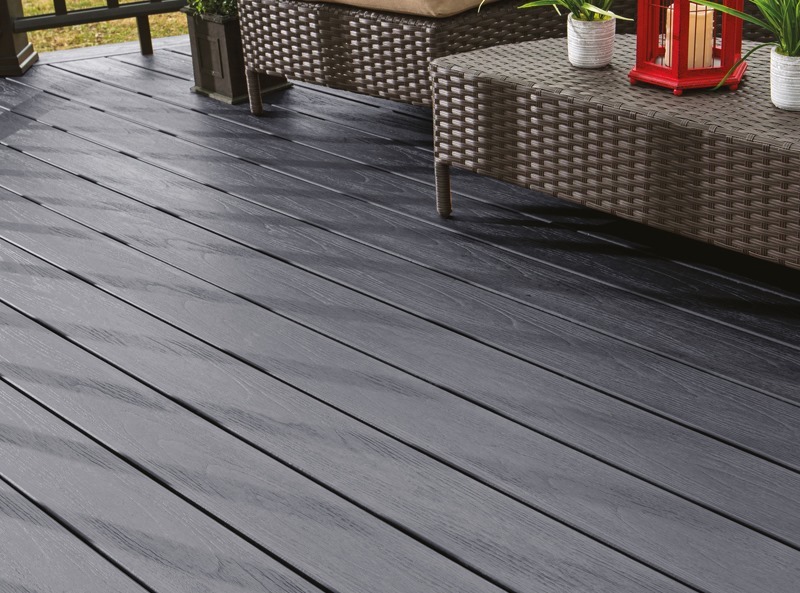 However, there is an easy way to get the sumptuous look of tropical decking without any of the maintenance requirements or environmental guilt. TimberTech’s EasyClean Capped Tropical decking is ideal for all kinds of outdoor spaces, and the boards have a gorgeous colour-infused, grained texture which is practically indistinguishable from that of genuine hardwood. 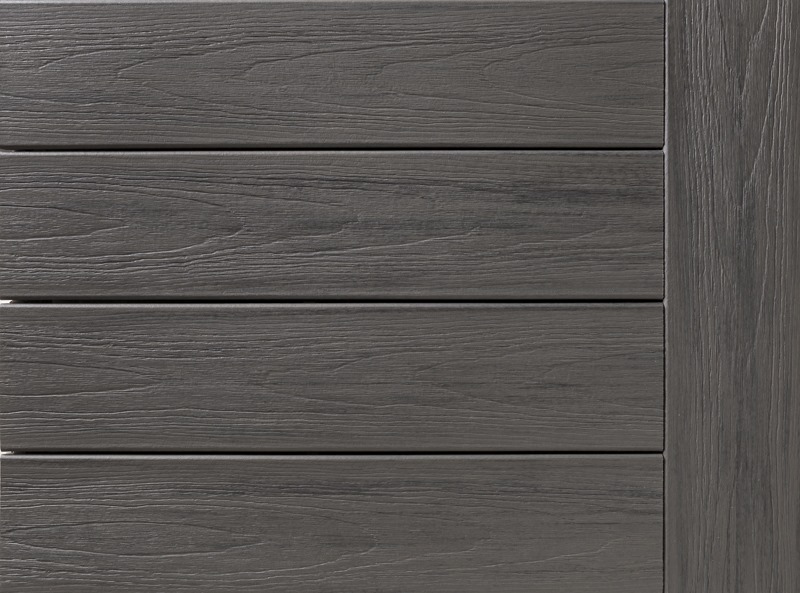 This variety allows us to match practically any design scheme, and all three options come with the same durable, low-maintenance properties. 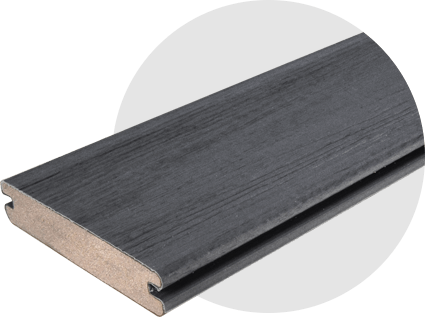 As part of our EasyClean collection, the Tropical deck boards come with a fully protective polymer sleeve that enables them to cope with anything the British weather might throw at them. This means that, should you spill anything on your sumptuous tropical decking, the mess will simply wipe away without leaving a trace. Click here to see how EasyClean Tropical measures up to TimberTech’s other ranges. Don’t forget to order your free sample pack! Please note that, since our EasyClean Tropical decking is modelled on the variegated colours/shades of hardwood materials, your small free sample may not give you a total impression of how your deck will look once completed. Please visit our EasyClean Tropical Gallery to see what these boards look like once installed. 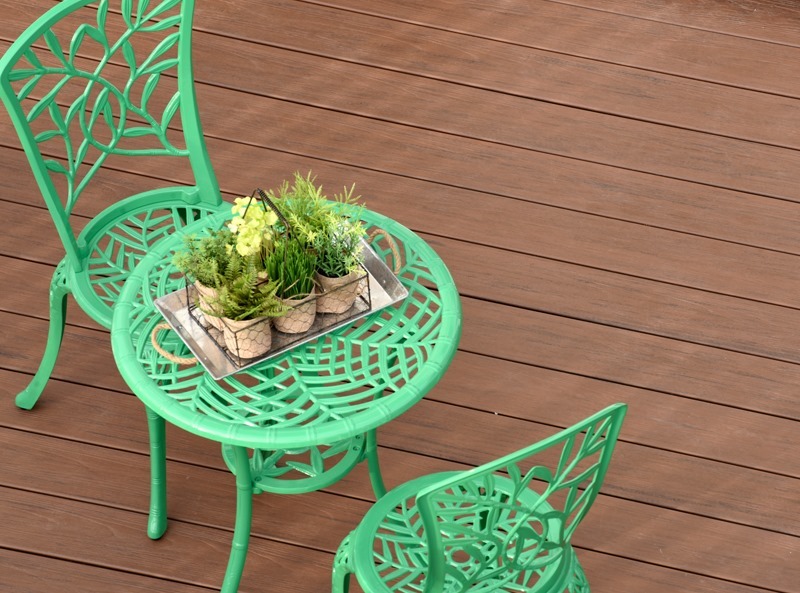 Would you like to take a closer look at TimberTech’s EasyClean Tropical deck boards? Not a problem – you can order 2 free samples here! If you’d like to request a quotation for your decking project, you can call the TimberTech team on 029 2080 3756, or you can contact us online. "Great service ,great product I wish you could buy the fixings in smaller quality’s "